Great wipes, great for my babies sensitive skin. Haven't had any issues. The only wipes we've used other than when we were abroad and hadn't taken enough! And then I could tell why we never wanted to use any others. They hold moisture well for a pretty long time but don't feel slimy like many other brands (especially non-eco ones) and they don't cause skin reactions. I ordered the organic baby wipes in bulk after receiving a trial packet. I liked them because they don't leave fuzzier behind like other brands. Beaming Baby's customer service is legit. I had problems ensuring the discount code I'd added in to my order actually GOT added, and so I emailed customer service about it. I didn't hear back from anyone right away, but when I was notified that my order had shipped, I could very clearly see the discount code added. Nice. Does what is needed. Good value product. Soft packaging means baby uses it to distract himself during a longer, messier nappy change. Not as WET as the Water Wipes we use, which sounds funny but they don't saturate everything! I love the babywipes they are the best babywipes I have ever used although a bit more expensive that some others they are so gentle. they are a bit more expensive than others but they are a lot more gentle. These do a good job of cleaning but they aren't very moist at all. A little bit more moisture would make them brilliant. Fast delivery and only the necessary amount of packaging was involved! Beaming baby have fantastic customer service, very friendly. Their products are by far the best that I have used, and I am a mum of 5, so have used a lot! These wipes are so gentle on my baby's skin. By far the best wipes I've used. These baby wipes work great, and I love the Fragrance Free version. Great for use in cleaning up the awful messes on sensitive skin. No nappy raises with this product. Consistently excellent service and products. We travel quite often and, while I try to pack enough nappies and wipes for the trip, at times we are forced to use other brands. Beaming Baby nappies are simply the best disposables I've tried. 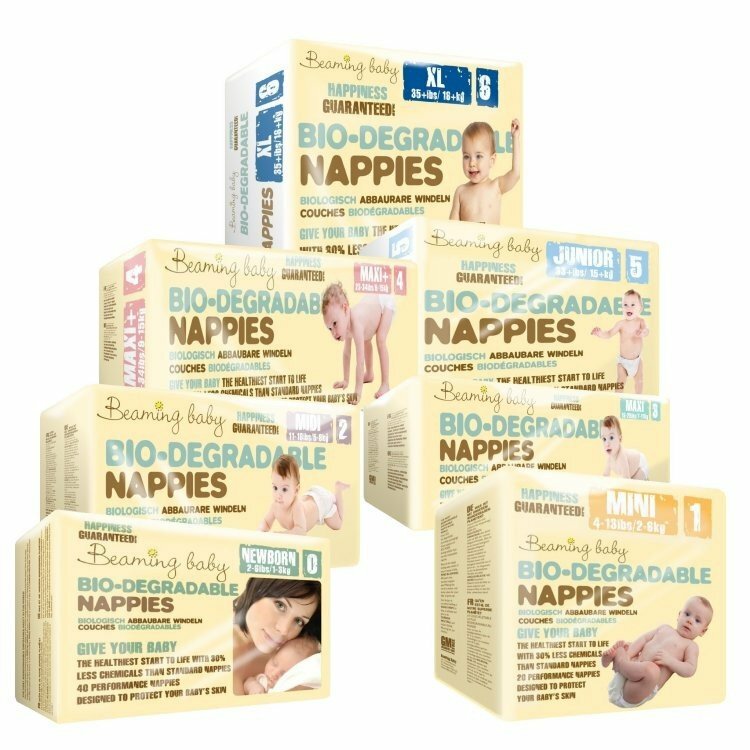 Other nappies either irritate my baby's skin, aren't efficient or are inconvenient (I tried one brand that kept falling apart !!). Regarding the baby wipes: other baby wipes on the market can be irritating to my baby's skin. Also, I've noticed that other baby wipes often leave a soapy film on my baby's skin. I haven't had any problems or inconveniences with the Beaming Baby wipes.